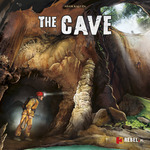 In The Cave, a board game from K2 author Adam Kałuża, players take on the role of a speleologist team tasked with exploring a newly discovered cave. Players start from a base and explore a cave, tunnel after tunnel, effectively building the board (the cave). They have to overcome steep descents, underground lakes, and tight squeezes. They will be given a chance to admire the wonders of the underground, like halls full of stalactites. To make it all possible they must take the right supplies with them, like ropes, oxygen and batteries. Each turn players have five action points to use for moving, discovering new cave tiles, exploring them, and packing their backpacks when they go back to the starting base. They need ropes for descents, oxygen to explore underwater parts, and a camera to photograph underground wonders. Planning what to take with them is one of the most important things in the game. Each turn that their pawn is not in the starting base, players must use (i.e., throw out) one basic supply from their backpack; these costs, along with the expenditure of other supplies during exploration, forces them to return to the starting base a few times during the game. 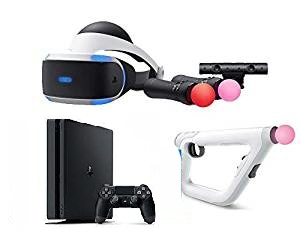 To keep them from having to carry everything, though, players can raise a camp somewhere in the tunnels where they can store some of the equipment. The cave differs every game, so players have to be prepared for everything or they will lose time. 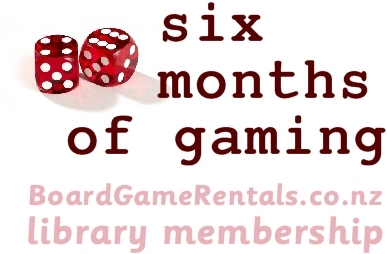 Players earn points for exploring different tiles: underwater, wondrous, descents, and so on – but to win they'll need to acquire bonus prizes for exploring the most tiles of each type. This make decision-making during trips very difficult. 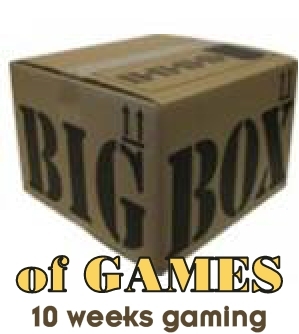 When the cave is fully explored, the player who made the biggest effort in the most spectacular way wins the game.